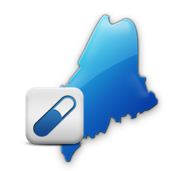 Meet the State of Maine Requirements and Start e-Prescribing Today! As of July 2017 the State of Maine mandates opioid schedule 2 prescriptions be sent electronically. To combat prescription drug abuse, MDToolbox recommends that all prescriptions be sent electronically. MDToolbox is an approved vendor in Maine and our e-Prescribing software, MDToolbox-Rx, meets all of the requirements for e-Prescribing and EPCS. As of July 2017 the State of Maine is requiring that all opioid and benzodiazepine prescriptions be sent electronically. “An Act To Prevent Opiate Abuse by Strengthening the Controlled Substances Prescription Monitoring Program” was signed into law in April of 2016 and mandates that controlled substances must be electronically prescribed. Under the new law, prescribers will also be required to check the state Prescription Monitoring Program (PMP) before writing any prescriptions for opioids or benzodiazepines that are to be filled and administered outside of a licensed health care facility. With MDToolbox, you get a link to your State Monitoring PMP login from right inside your Prescripton Writer - We make it easy to remember to check and document that you checked the PMP.